I’m a huge Marvel fan and ever since the first Iron Man film I have been really impressed with the films that they have created. I have to say Captain America Civil War is my favourite and the best film they have made. It had everything. 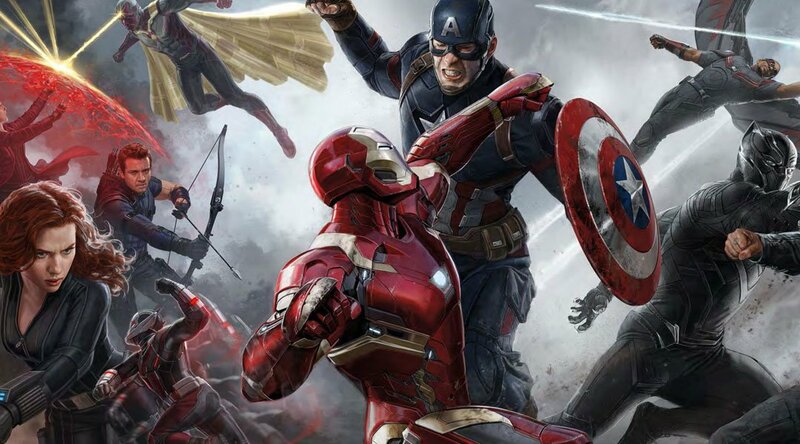 It was full of action as you’d expect from a Marvel film but most of it is hand to hand combat. It didn’t just fill action scenes with loads of explosions and buildings falling down. instead it has tense action scenes and epic fight scenes throughout. It’s also funny as well with some great one liners especially from Paul Rudd’s character, Ant Man. It follows on from Captain America Winter Solider and the second Avengers film, Age of Ultron. The story has been written really well and you seemed to get caught up in the whole ‘Civil War’ which makes you choose a side, which you believe is right and in the end, a side you want to win. Some new characters are cleverly introduced and they fit in seamlessly. Black Panther for instance who I knew absolutely nothing about before I saw the film. He is one of the new main characters and also now my favourite in Captain America Civil War. His combat skills are very impressive and his overall demeanour makes him a really likeable character. The new Spiderman, I was quite pessimistic about because they’ve made him really young and he’s basically a kid. I thought it would make it really cheesy but his relationship with Iron Man is well written and quite funny in parts. One thing that did bother me with this film and actually in films in general is the excessive amount of product placement. It’s really obvious and can be quite annoying at times for example, the scene with the big car chase in the middle of the film, the camera constantly zooms in on the Audi badge at every oportunity. I felt the whole Ant Man going massive scene was a bit unnecessary, since when is an ant ridiculously big? The way they ended Captain America Civil War has left it wide open for another film which I fully expect. It has also left it open for the new stand alone films to be linked with Black Panther’s new relationship with Captain America as well as Iron Man’s relationship with Spiderman so I can’t wait for all the new films to be released. This is probably the best film I’ve seen this year, it completely exceeded my expectations.